For those unable to attend the exhibition, we've made the photos available online. The River People Exhibition is comprised of 2 distinct collections of photographs from artist Matthew Joseph. 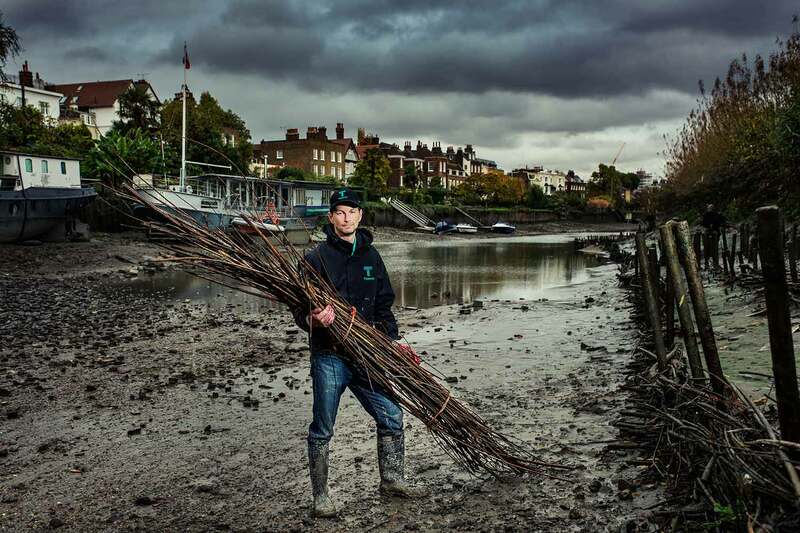 is a portrait series which looks at the people of the river, those connected to it, those who work on it and those who make the most of it for its recreational benefits; highlighting the obvious and the less obvious. Each photo includes an audio description of the story behind the image, providing insight from the artist and a history of each of the images. 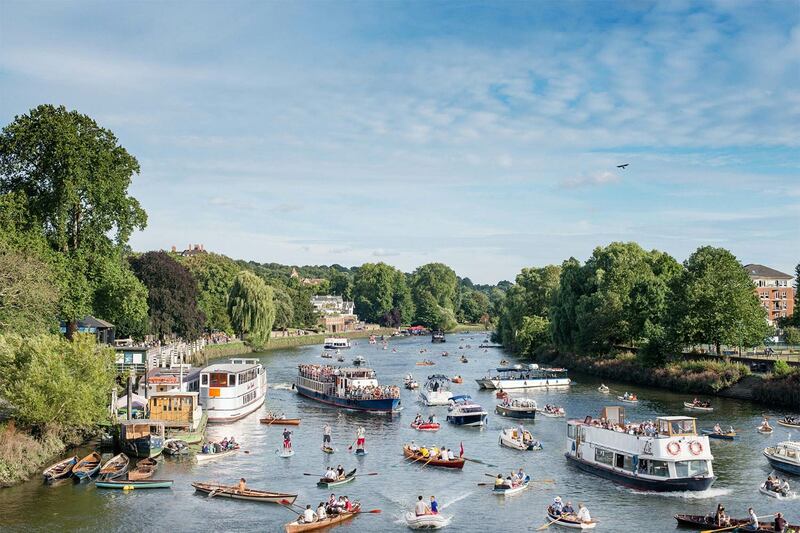 The collection comprises a series of timelapse photos capturing the hustle and bustle of life on the River Thames. River People is a portrait series which looks at the people of the river, those connected to it, those who work on it and those who make the most of it for its recreational benefits; highlighting the obvious and the less obvious. 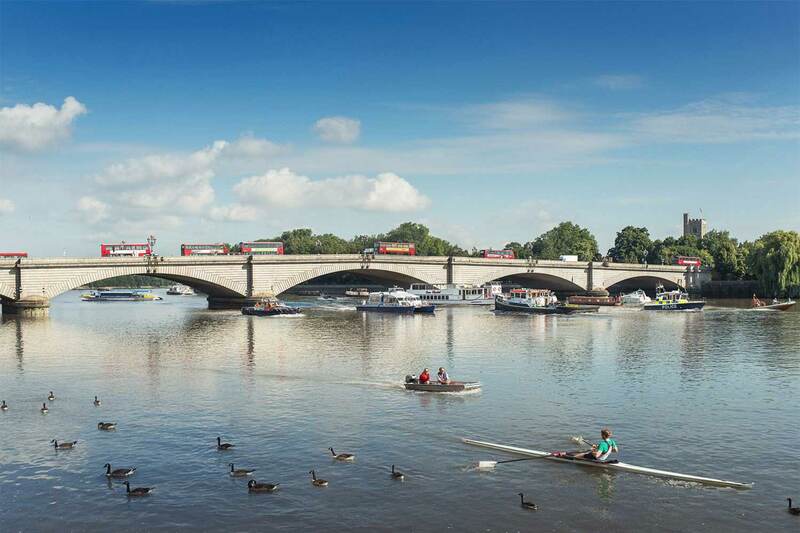 Thames21 is a charity working all across Greater London helping to maintain and improve its various waterways. 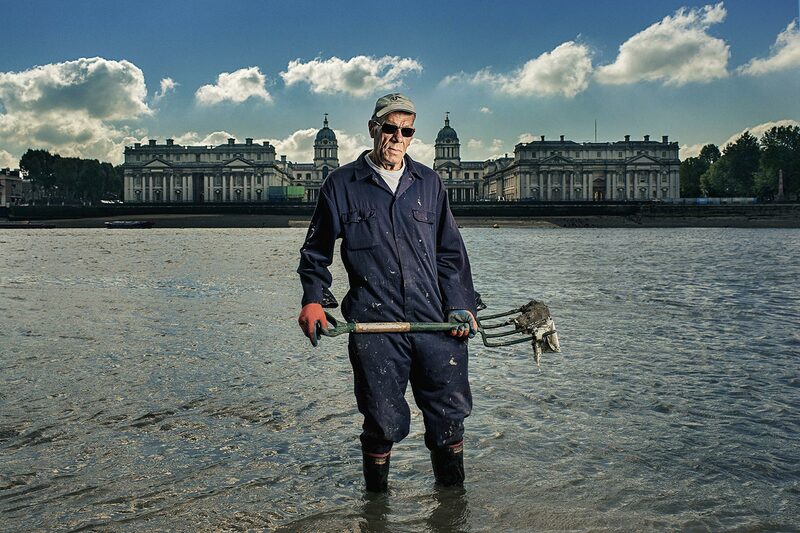 Much of its work is focussed on the tidal section of the Thames as it passes through central London, and its volunteers can often be seen organising mass litter clean-ups on the accessible foreshores. Your browser doesnt support audio. 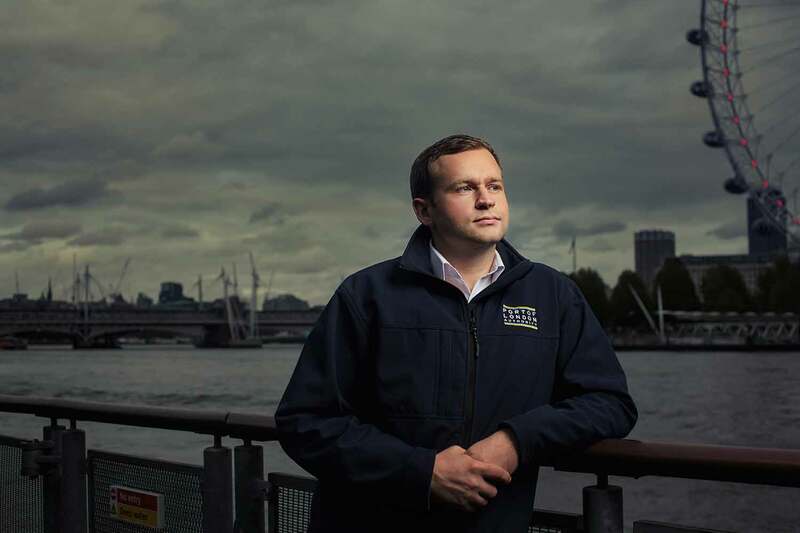 With a family connection to the river stretching back five generations and currently serving as a Waterman to H.M Queen Elizabeth II, there is little Chris doesn't know about the goings on of the Thames. He is the youngest ever Master of The Company of Watermen and Lightermen. 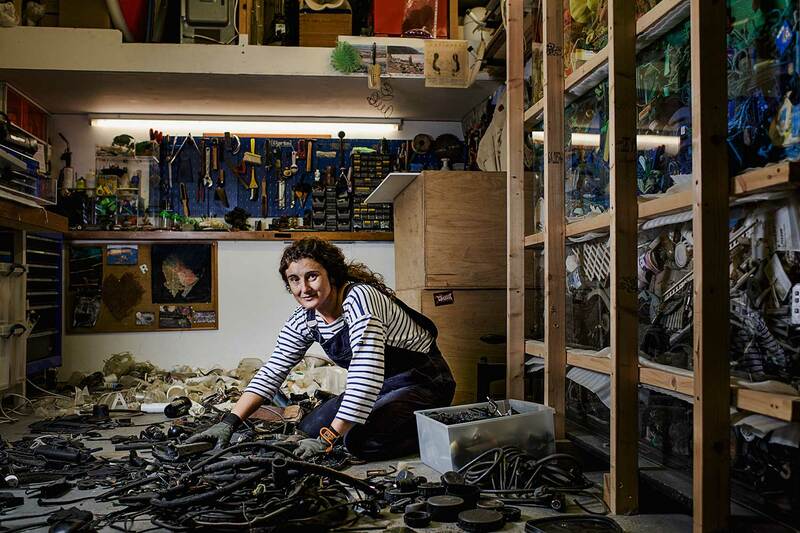 Maria is another Londoner who spends time in the Thames at low tide sifting through rubbish - in this instance, she is looking for materials and inspiration. What the Thames swallows and preserves, she salvages, sorts, and with her discoveries, produces art. She is an opportunist, an environmentalist and a historian, which combined, define her as an artist. Whilst not widely known to those outside the river-based community, the Doggett’s Coat and Badge Race is one of the oldest cultures still operating on the Thames and is a vital part of the river’s history. 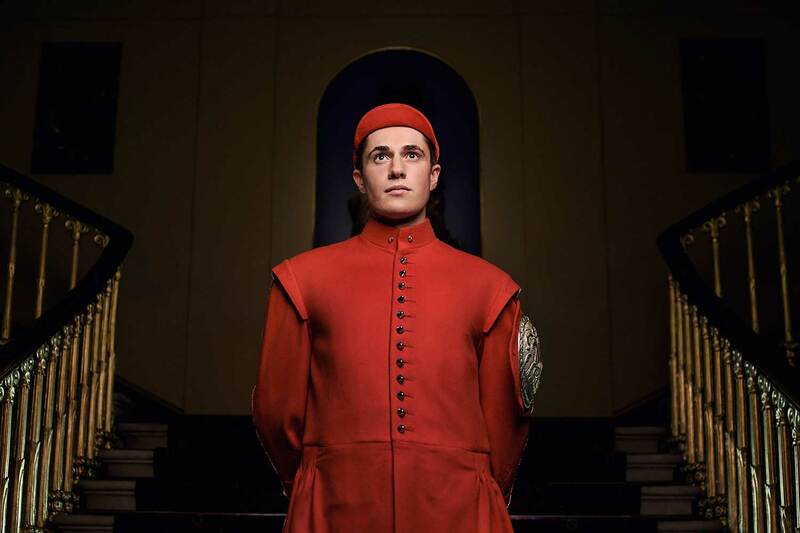 The winner’s prize - the coat and badge - has changed little over the centuries and the ceremonial dinner and prize giving encapsulates British pomp and ceremony to perfection. 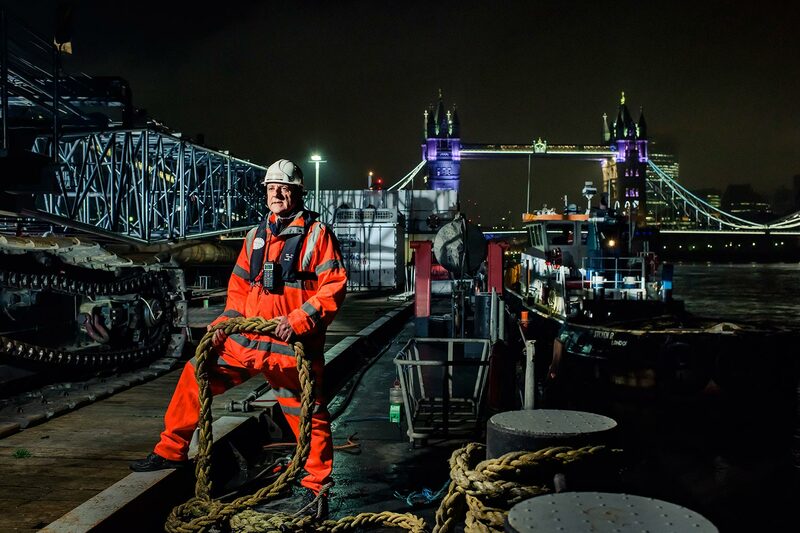 Glen’s official title is ‘Bridge Driver’ and he has twenty years’ experience of working on Tower Bridge. 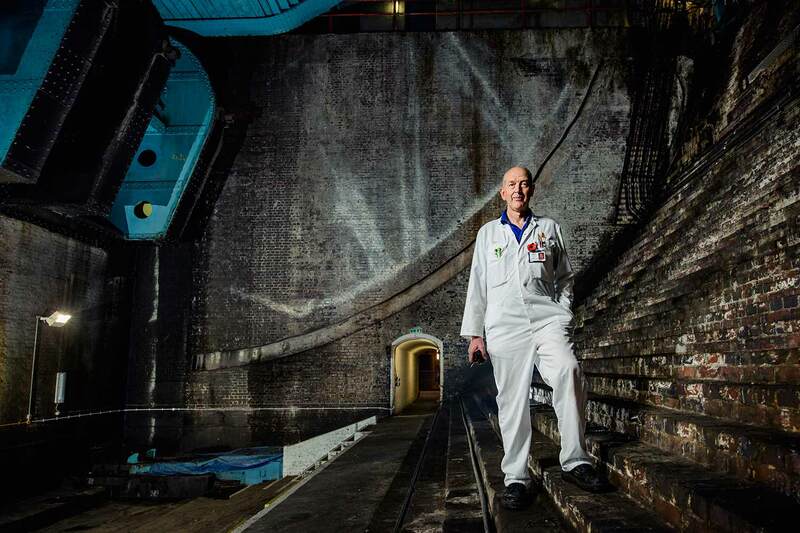 The giant bascule chamber beneath the bridge’s south tower makes up the extravagant set for his portrait, a feat of nineteenth-century civil engineering you can only really appreciate when standing in its dark, dank presence. 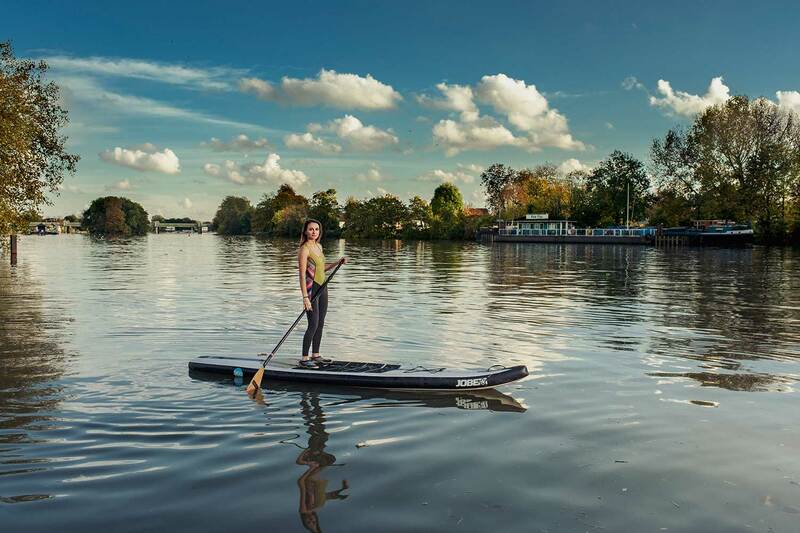 If ever there was a way to defy the reputation of the Thames being dirty, taking to the river on a stand up paddle board would be it. Adopting a very intimate relationship with the water - one mistake meaning you are going for a swim - Stand Up Paddle Boarding (SUP) is perhaps indicative of a modern acceptance that the river is not as dirty as its reputation suggests. 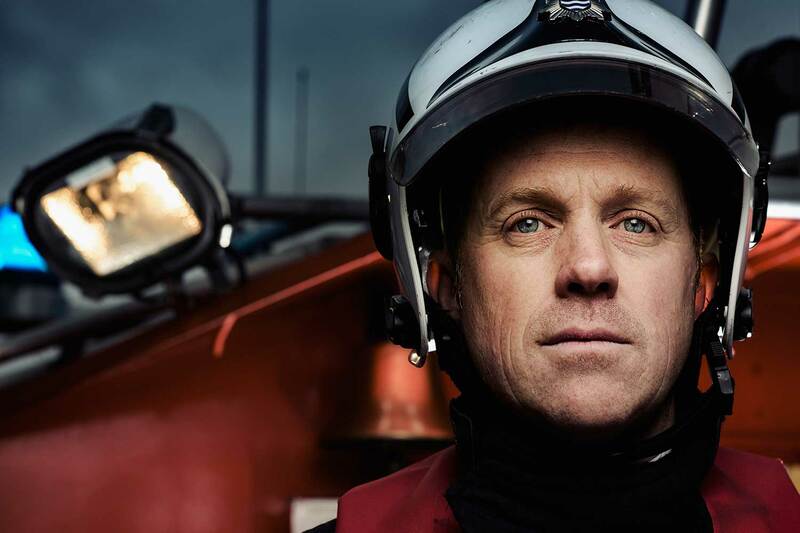 Holding the position of Station Manager at the UK’s only full-time fireboat station, Darren is well versed in his knowledge of the Thames. His office and station on a floating pontoon, positioned on the south side of the river next to Lambeth bridge, make him a fitting candidate for the River People series. Upon first meeting Peter, it is clear that he is very much at home on the water. He carries an air of professional pride that reflects his long and successful relationship with rivers, but a humble modesty gives him warmth which results in an obvious admiration and respect from his peers. Whilst studying and working for his apprenticeship, alongside his co-workers who are thirty years his junior, he holds the position of First Mate on the Thames Clippers. 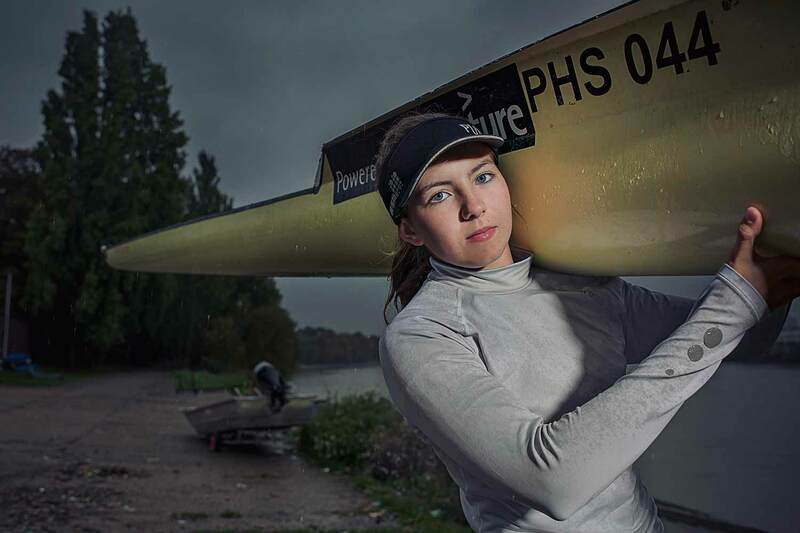 Keen to portray the many generations that the Thames impacts through the River People story, I was excited to find and meet Åsa - a 17-year- old enthusiastic sixth form student at the local Putney High School. 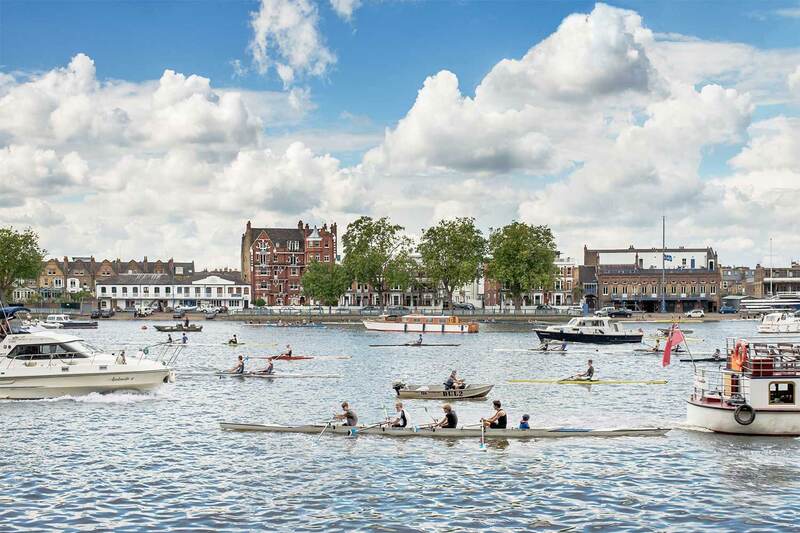 The school’s proximity to the starting point of the historic Oxford and Cambridge Boat Race provides an excellent opportunity for its pupils to access the sport of rowing. A Surbiton resident himself, Stephen has been working as a commercial manager at Tideway for four years. Outside of his connection to the river through work, it is the many riverside pubs along the south-west stretch of the Thames that attract Stephen to its shores. 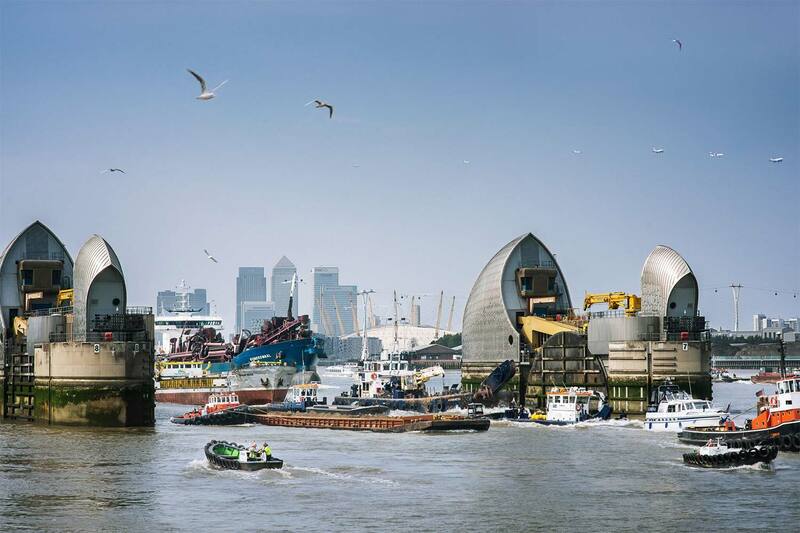 The Port of London Authority plays an integral role in looking after the River Thames and supervising its users. Formed in 1908 it has a well- rooted presence across the river and is responsible for 95 miles of the tidal waterway. 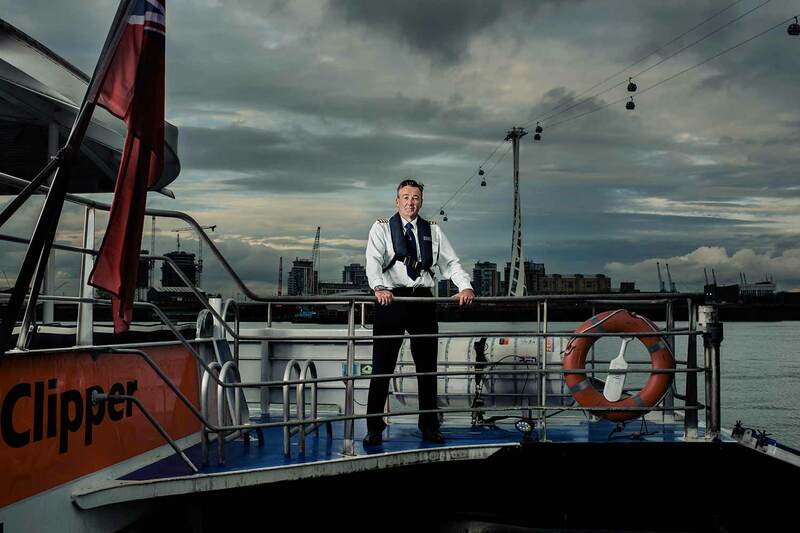 Ryan proudly holds the title of Deputy Harbour Master Upper and is part of a team of four looking after the upper district of the Thames. 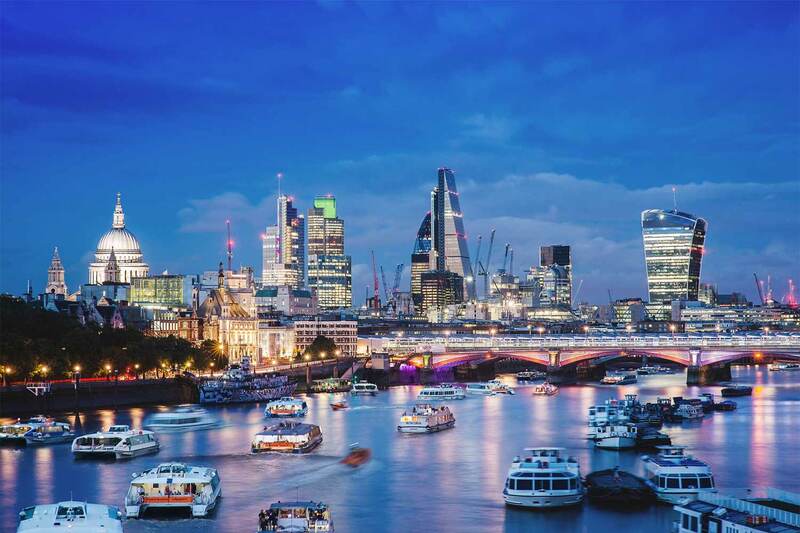 Commuting daily into Westminster from her home in Essex, Charlotte is a proud woman of the Thames. 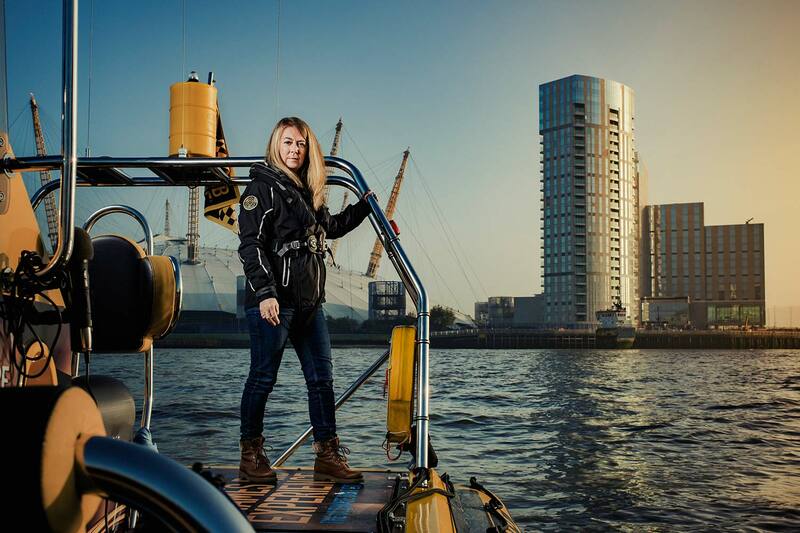 Having become bored with her office job she decided to quit and set up the Thames Rib Experience with her partner - with absolutely no prior experience in boats or any background links to the water. She is an inspiring person to meet. 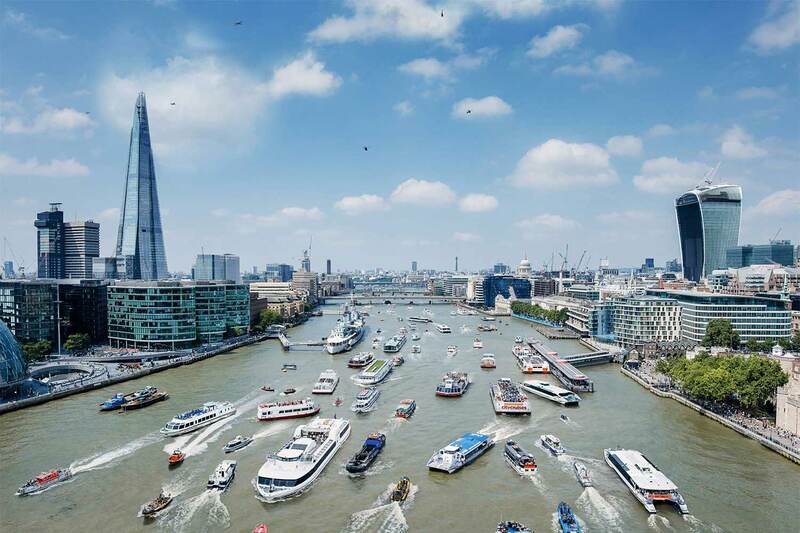 London ’ s Super Highway is as much an awareness campaign as it is a collection of Thames landscapes - attempting to reveal that the Thames is as important today as it’s ever been. It’s all about portraying the busyness of the bustling Thames and challenging the viewer by creating creative chaos across scenes they know so well.